Puns and zany shoreline tchotchke shops seem to go together like tie dye and peace sign pendants. 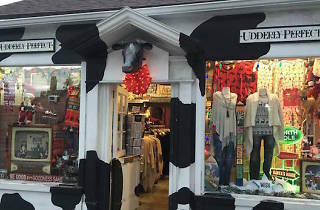 Which are, incidentally, the sorts of hippie-dippie souvenirs to be found within this technicolor, jam-packed trinket shop. 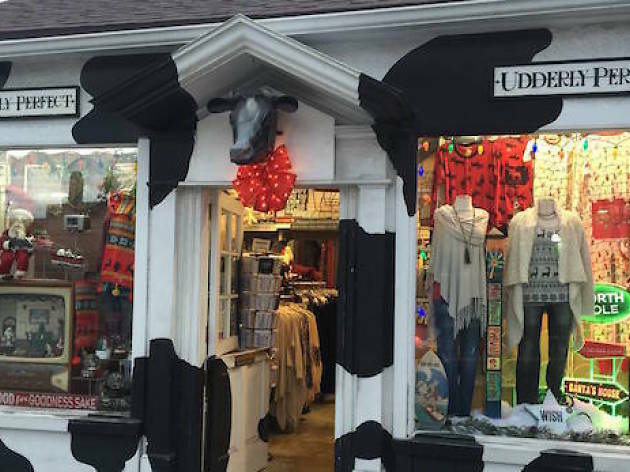 Even with a cartoony cow-print exterior and bovine bust mounted over its front door, the store's interior is somehow equally flamboyant, thanks to its overflowing racks of beachy wall hangings, brightly patterned lounge pants and jingle-jangly accessories. The shop has been a Manhattan Beach mainstay for over 30 years, and its peppy staffers have the neighborly demeanors to show for it.